If you’re an oldie like some of the Redmond Pie team – and we’re not pointing any fingers – then you’ll probably remember the good old days of MP3s, when Winamp was the biggest and best music player around. Since then times have changed considerably. The iPod came along, and iTunes took over as the go-to source for all our music playback needs. And that’s great, so long as you have an iPhone. Now fans of the Winamp of old will be pleased to hear that Nullsoft has just made a Pro version of its Winamp app available on the Android Market, allowing those of us who are old enough to remember the original Windows app the chance go reminisce. The lack of ads alone makes Winamp Pro worth the price of entry to us. 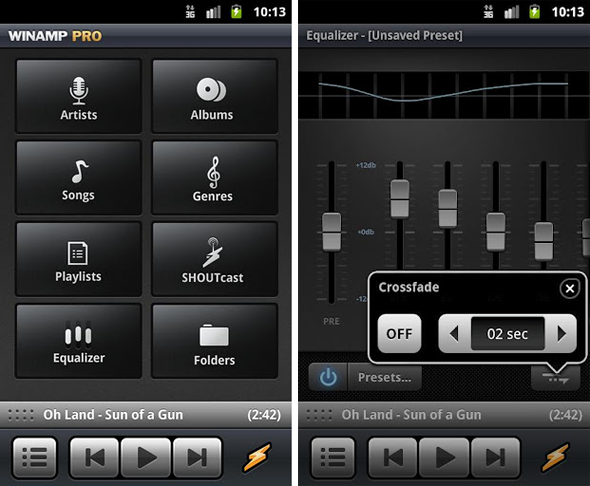 Gapless playback is also one that fans of certain music will be keen to get their hands on. Streaming audio is popular amongst some, too. The Pro release of Winamp itself is simply a key which unlocks the new features, so you can also download the free version and upgrade in-app which surprisingly doesn’t cost that much considering what the Pro version has to offer; just $4.99. This is probably the best way to go about things if you’re already a Winamp user – there’s no need to download the app once again. If only the App Store allowed iOS developers to do a similar thing! 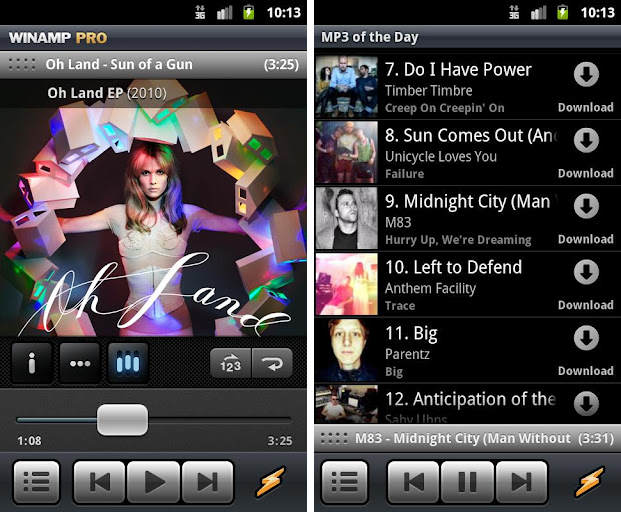 Winamp Pro is already seeing great reviews on the Android Market, with a 4.5 star out of 5 rating on average. That’s pretty impressive it has to be said, and with good reason. We’re big fans of Nullsoft’s work, and you should probably pay for the Pro version just to say thanks for the work!